Do you have a complete and running web project that you would like to brag about? Do not miss your chance and enter this year's contest Website of the Year which is organized by the Active Web Development Foundation. Provide your website with the opportunity to take its place among the winners and get the recognition it deserves from the digital community. How? Read more details about the competition. Mobile App - for mobile applications. Which category does your website fit into? Your website's content should be in Bulgarian or at least it needs to have a Bulgarian version. Only the Mobile App Category makes an exception. 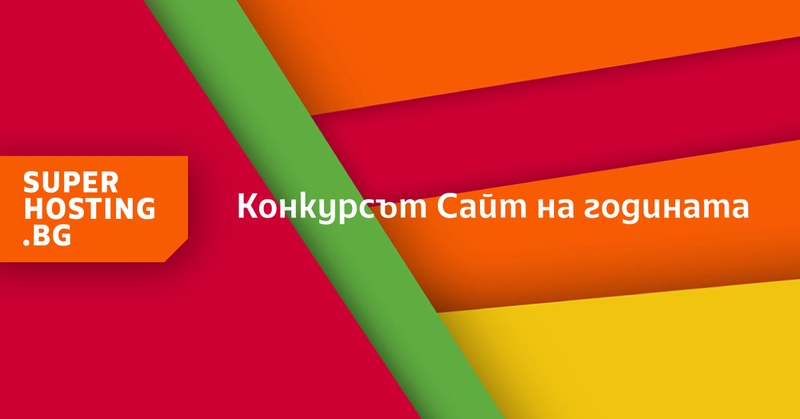 If you decide to enter the contest with a mobile app it’s important that it has been developed in Bulgaria, from a Bulgarian team or company. The registration deadline is 10 September. To register you need to visit bgweb.bg and pay the one-time fee amounting BGN 95 per participating project. You can apply for up to 2 categories as payment is accepted only per the declared number of participating projects. There is no contest without a Jury to evaluate the participants. This event gathers together experienced specialists in the web field to guarantee that all contestants for the Website of the Year award will get constructive feedback and professional attitude. This competition’s mission is to demonstrate valuable web projects because “good examples have to be shared” and are worth seeing. Quality web developments deserve to be seen by wider audience. The competition is a platform where everyone might show their ideas, talents and skills in the field of IT and design so as to be evaluated. Awards are always luring for participants so the contest will welcome winners with prestigious awards. The best websites will get a “Website of the Year” award for the respective category together with a Certificate and a unique statuette. The Jury has also prepared special awards for the participants who have significant contribution for the development of the web field in Bulgaria. The awarding ceremony will take place on 4th October. Awarding Ceremony: 4th October 2018. Have you already entered the Website of the Year competition? The final stage of the registration is almost over so hurry up to enter the contest as soon as possible. For more information follow the event's Facebook page. Good luck to all participants! We believe our customers’ web projects will also be amongst the winners.